(George) Isaac wrote and directed the film and Byrne was wowed by his enthusiasm for the project. “When somebody really believes in something it makes me want to go on the journey with that person,” says Byrne. The Dubliner was thrilled to get to work with Julian Sands, who he had worked with on Ken Russell’s film Gothic back in 1986, and also the film Siesta with Jodie Foster the following year. “A lot of my scenes with Julian in this film are the two of us driving around London in a Rolls Royce,” he says. “So Julian and I were trying to justify that we were only in a movie and we’re really not the kind of people who normally drive around in a Roller. How can they talk about Siesta without mentioning Ellen Barkin? Anyway, I loved the “Roller” part and the entire interview is great, so give it a read! George Isaac is the producer of the commercially triumphant British films Kidulthood and Adulthood, and makes his debut as a writer-director of this London crime thriller. Perhaps against the odds, it’s a smart, engaging film, hitting a confident stride right away, and coolly proprietorial in its attitude to London, taking on the big, iconic locations without looking touristy… By nicking a medium-level villain Mark Corso (Pierre Mascolo) on charges that he can withdraw later if he wishes, Parker has a leverage on his father, crime lord Joseph, played with menace and gravitas by Gabriel Byrne. Sewell, Stephens and Byrne slip comfortably in their characters like they’re putting on sleek old leather gloves. They have nicely written roles and actors as seasoned as these don’t mess this up. And there’s good work all round from Terence Maynard as another rogue cop, James Frain as the Attorney General, David Schofield as the Police Commissioner and Julian Sands as Byrne’s henchman. I said it’s strongly cast and the actors here are much better used than the Welcome to the Punch lot. There are several more that have just popped up today, but they are from small outlets and the reviews themselves are very short–and primarily negative. So, we all need to see the film for ourselves and discover just how WE feel about it. 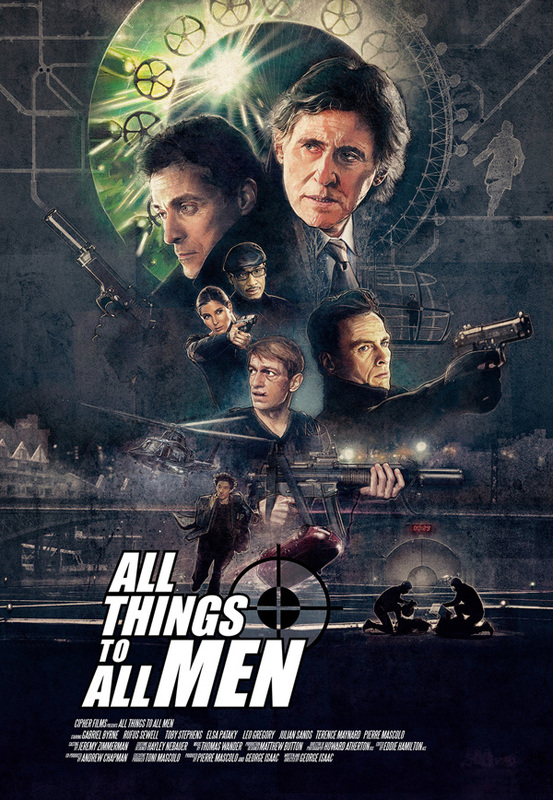 Men in Black: Gabriel Byrne, Julian Sands, and Toby Stephens. Thanks to Moondreamer for this picture! 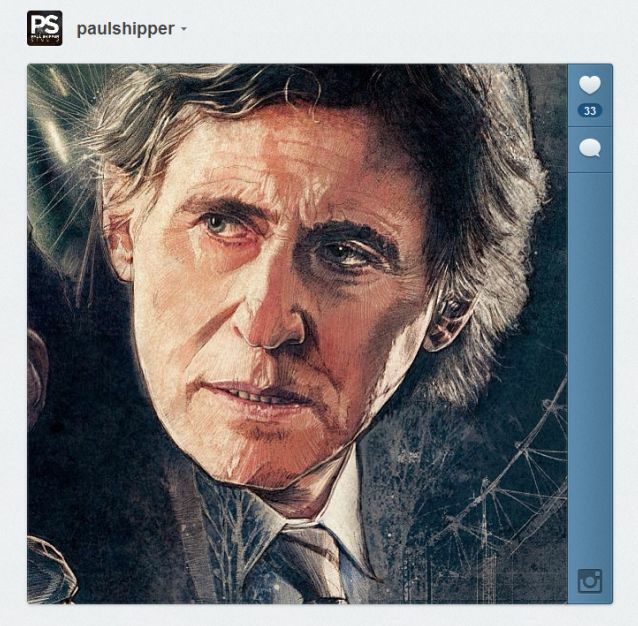 Here is more artwork from the amazing Paul Shipper and a Tweet that will leave you laughing! The reviews for the film that have been published so far are, shall we say, “lame,” so I am waiting for more mainstream reviews before bludgeoning you over the head with any of them. In addition, Mr. Byrne has been heating up the news with a couple of interviews, one in the Sunday Times UK entitled What I’ve Learnt (which, in the US, would be “What I Have Learned”…) and another in the Irish Times which has been picked up by every Irish outlet known to the Irish: Byrne describes the Catholic Church as a “force for evil”. Amazingly, this was published on Easter Sunday. 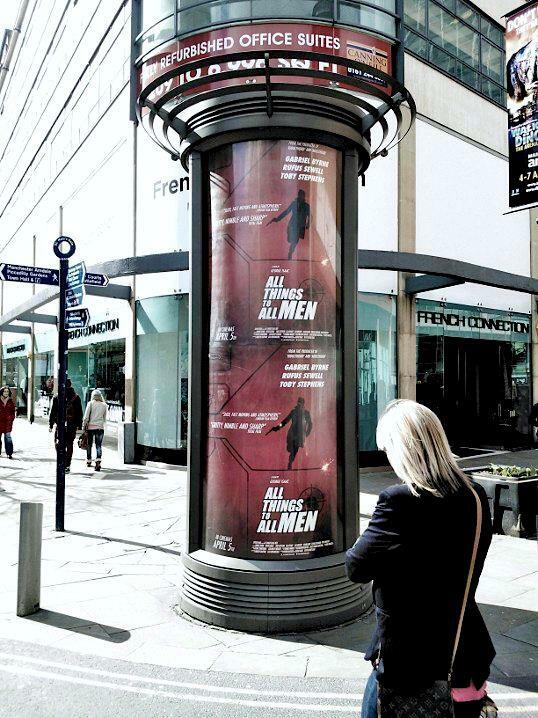 At any rate, now everyone knows his latest film is out on April 5! 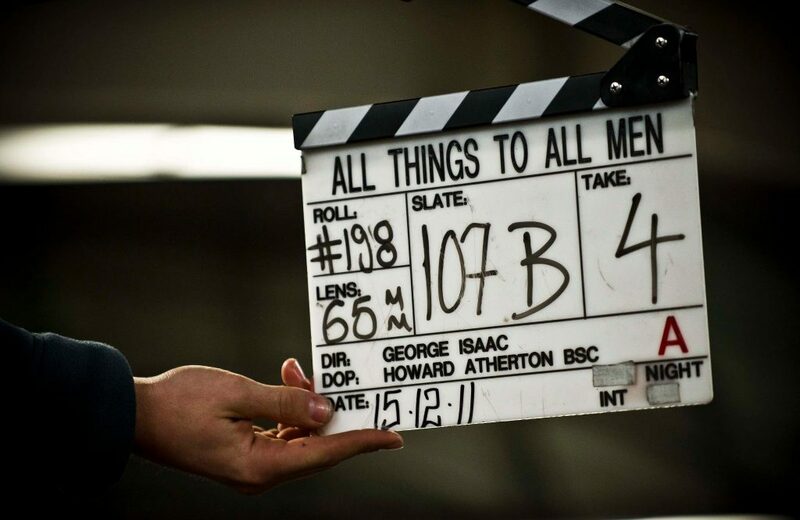 Seen trailer for #AllThingstoAllMen. Don’t care if it’s pants. 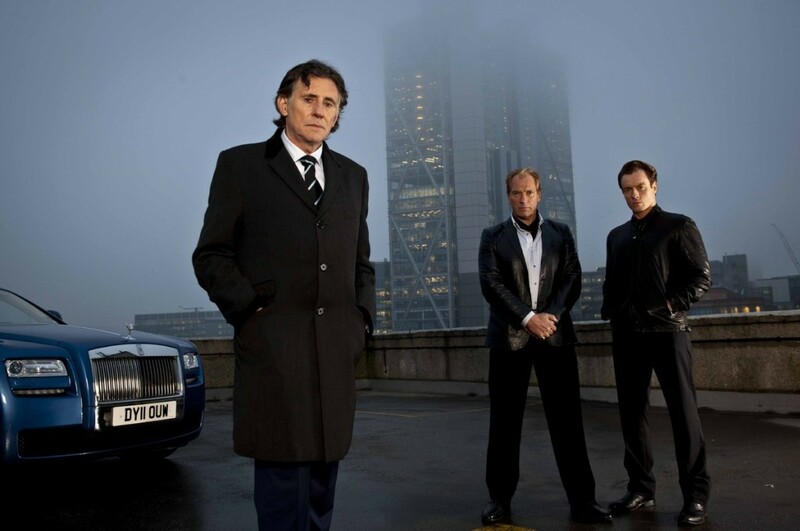 Gabriel Byrne, Rufus Sewell and Toby Stephens. All Things to All Women. 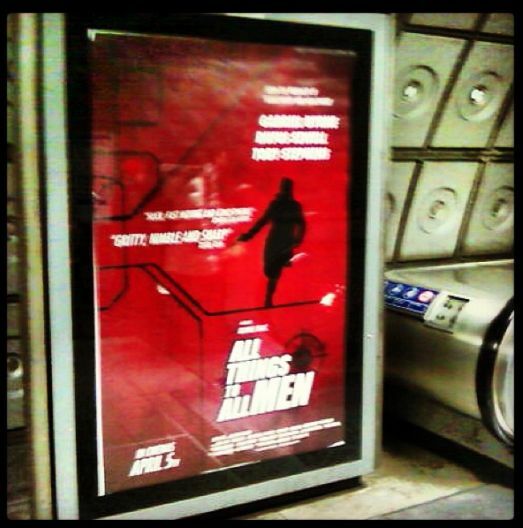 All Things To All Men will be premiering in London on April 5. We have been waiting for this film for a long time and now it is here. What a cast! I am not sure if this will be a guy’s action-packed weekend flick or a “chick” flick for women of all ages who find the lead trio, plus more gorgeous men, oops, I mean accomplished actors, too tempting to turn down. Of course, with George Isaac at the helm as both director and writer, this could be a slick drama with lots of unexpected twists and turns. Perhaps it will be all three! And here is the new official poster! I discovered this via Twitter. The poster was created by Paul Shipper (Twitter: @paulshipper) and he shared it with me. You can visit Paul’s website at Paul Shipper Studio and see all of the amazing film posters and film art he has done over the years. I immediately fell in love with several of his works! And finally, here is one of the first reviews I have seen so far and it is terrible! Not the film (well, the reviewer thinks the film is terrible, true), but the review itself. Film criticism is really on the down slope these days! Sigh. More resources for this film include the official Facebook Page and the IMDB page. And here is a triptych of Mr. Byrne in character to whet your appetite! 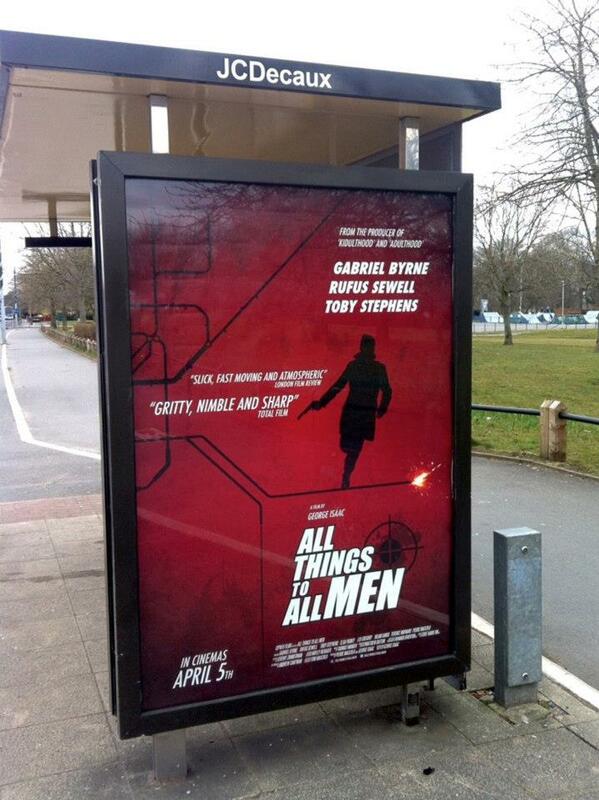 If this film arrives at my local cinema I will eat my hat. Patiently waiting for the DVD.. The poster is really great. Elegant, simple and full of symbols. I love it! 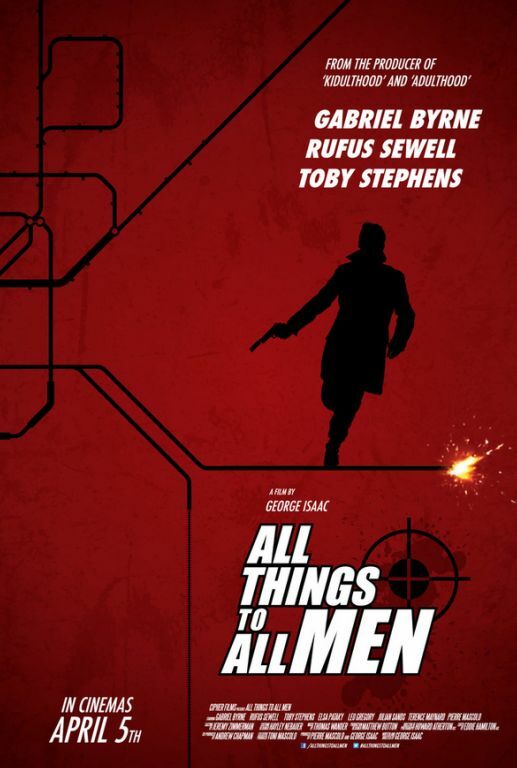 Gabriel and Rufus Sewell together, looks dangerous and interesting. Hope this movie will come to Norway also! So am I. I wonder what hat taste like. You know you’ll have a better than 50/50 chance of seeing it before any of us here in the US will. Well it’s not being screened in Birmingham so it’s a trip to London! Georgina, you are so lucky! Please consider writing something up about your experience. You can include a review of the film if you want. Or just tell us what it was like to see the film in London! So exciting. Dorrange, you lucky! Report back, please! Thanks, David. I copy quotes only and always provide links back to the original–unlike some supposedly reputable news sources these days! But I understand. And I did provide the link to everyone. I will say, though, that I visit many websites and I rarely find this copy-paste blocker. So I was just surprised. Understood – I’m happy to email you across the full review if you want to extract quotes, we had a bit of trouble a while back with unscrupulous sites just taking our content – hence the block. That would be very nice. Thank you!! Thanks, Pio! This is great news indeed! Sorry you are having trouble with the Forum. If you cannot login or have forgotten your password, let me know. Thanks again for sharing this! I know we are all excited to finally see this film! I got the DVD yesterday so now I have seen the movie. I did not like the movie. It was a lot of killing and action scenes. Maybe young boys will like this movie…?